As I sit here and put off the inevitable trek I must make to Round Rock to drop off my rent I thought it was an appropriate time to post this. I am forced to ask once again, "what is wrong with me?". Really. 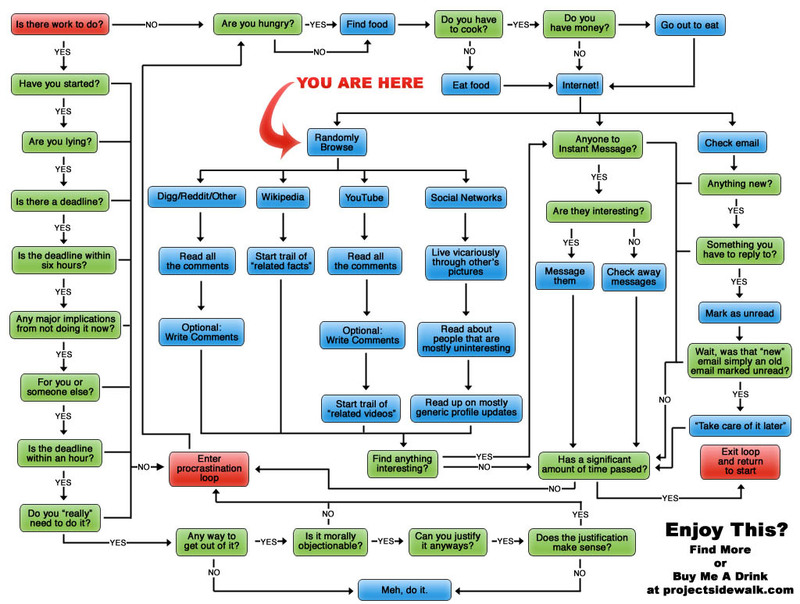 Check out Projectsidewalk.com to see more from the creator of this flow chart. Don't forget to buy him a beer.